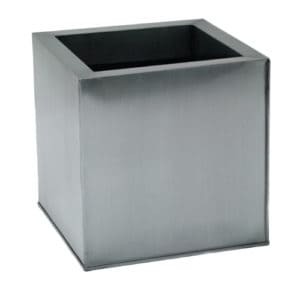 If you’re looking to add some spice to your garden; square planters are the way forward. In a range of styles, sizes and colours, you will find our collection will give your outdoor space a modern edge. 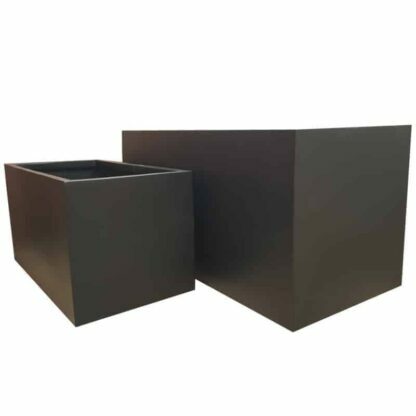 By mixing large and small square planters together, you can create and design different features within your garden. This will create a layered and stepped effect, which will enhance all dimensions of the garden, giving an interesting focal point in any outdoor space. 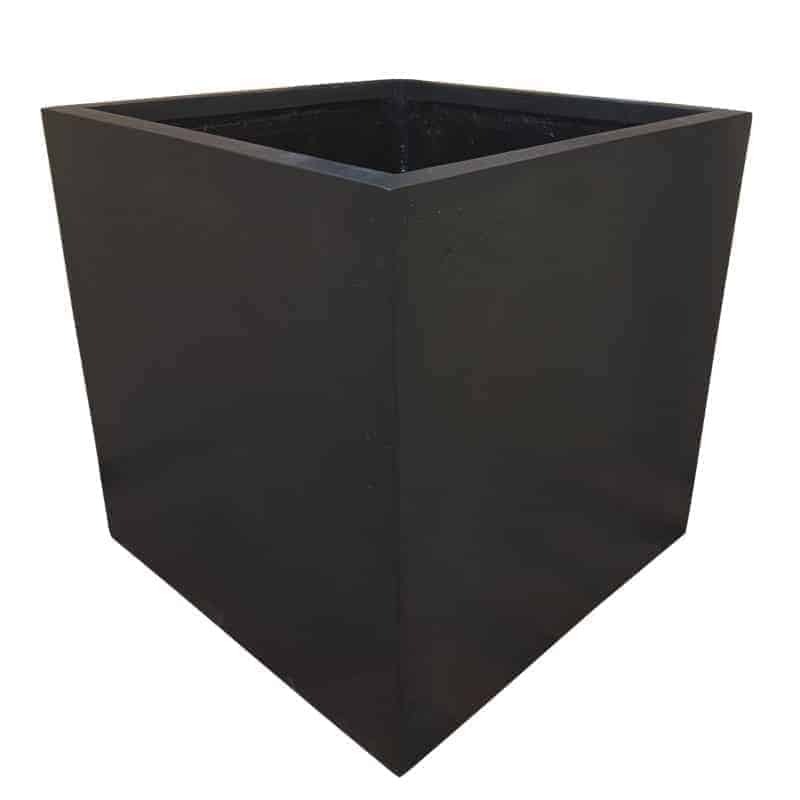 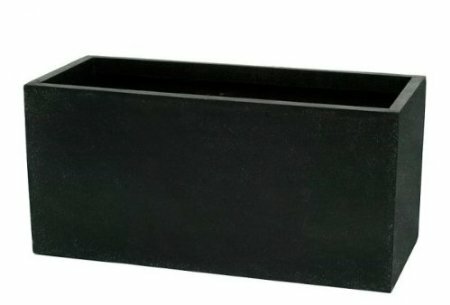 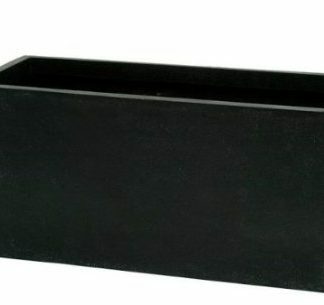 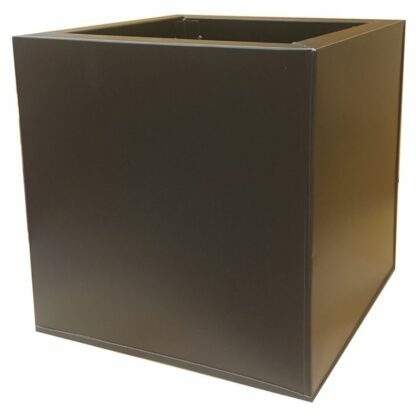 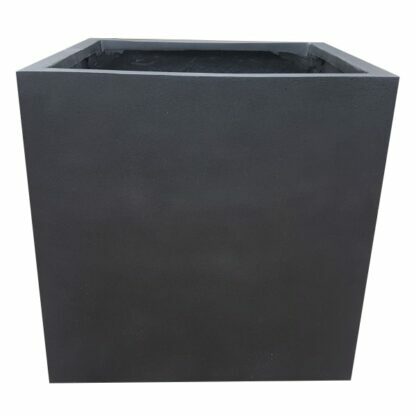 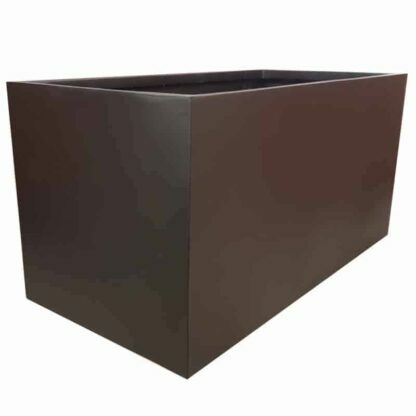 Square garden planters, planted individually, give a sleek and modern impression. These help to enhance the shape of the tree or plant. With straight, cutting edges, these planters fit well in contemporary environments such as restaurants, hotels and apartment buildings. 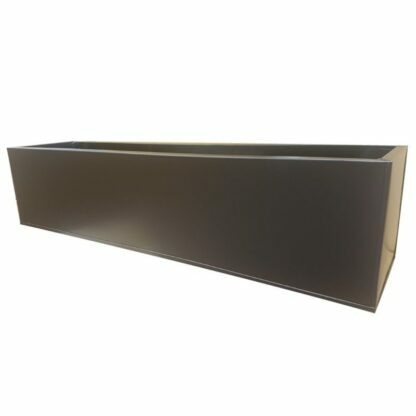 Fibreglass and Corten Steel are amongst our most popular in this shape. 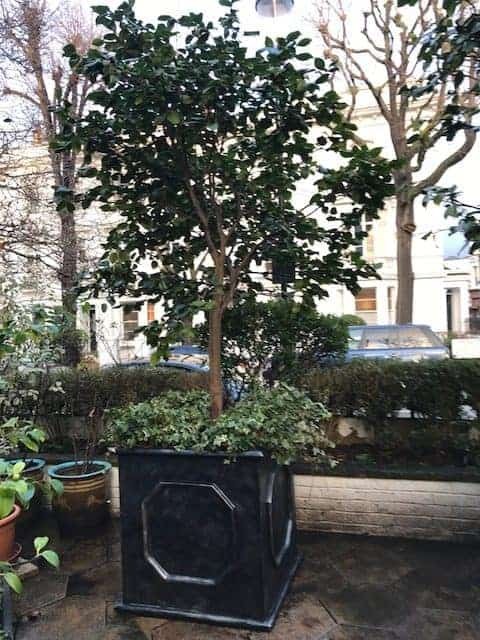 This is due to the impressive sizes that are available, meaning this square planter becomes a centre point of the outdoor space. 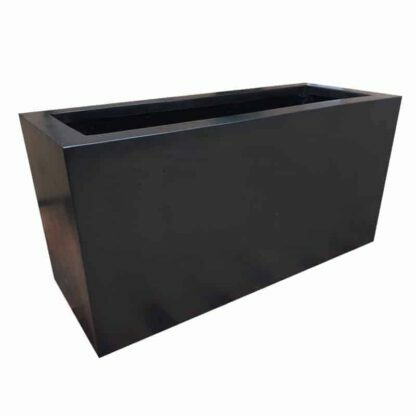 The clean lines of these contemporary window boxes contrast well against the soft contours of box hedging or bedding plants. Alternatively set them against the silver foliage and purple flower heads of lavender or verbena. There is nothing better than adding a splash of colour and a touch of class to your window sills. 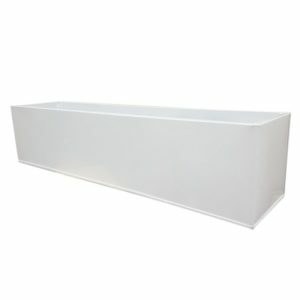 A white window box will enable you to bring the vibrant colours to your outside area whether you decide to place the window box indoors or outdoors. If you are looking for a window box with a difference then look no further this window box. 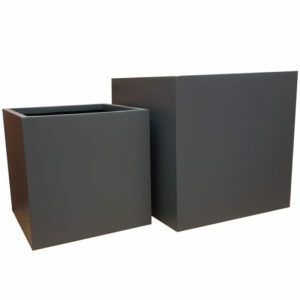 This will bring any window to life with an injection of colour and beauty. 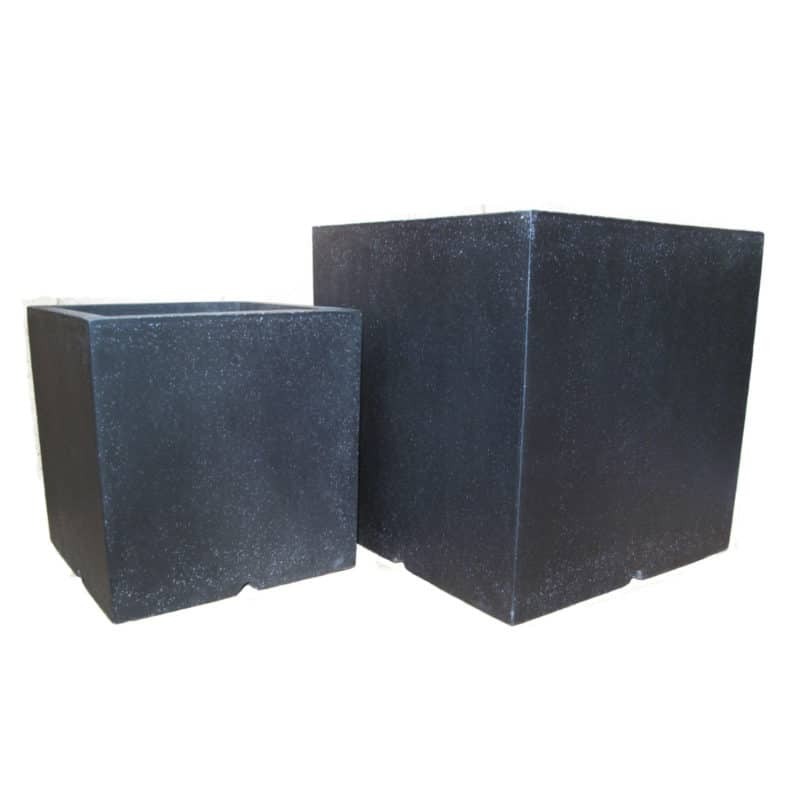 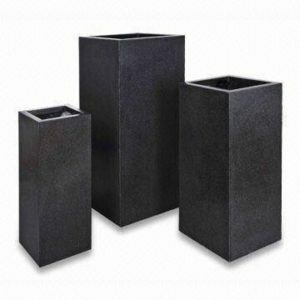 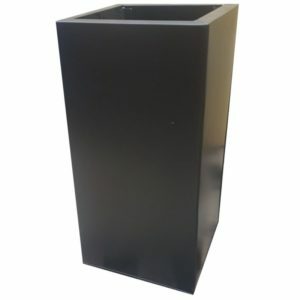 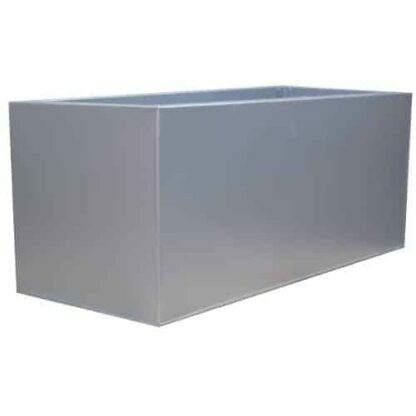 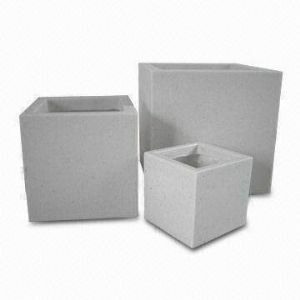 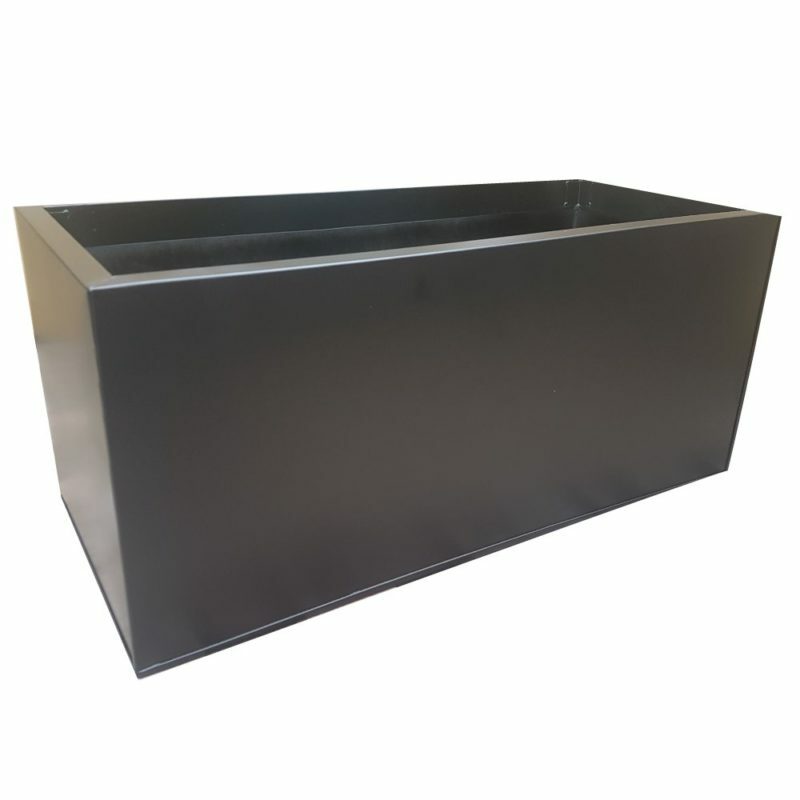 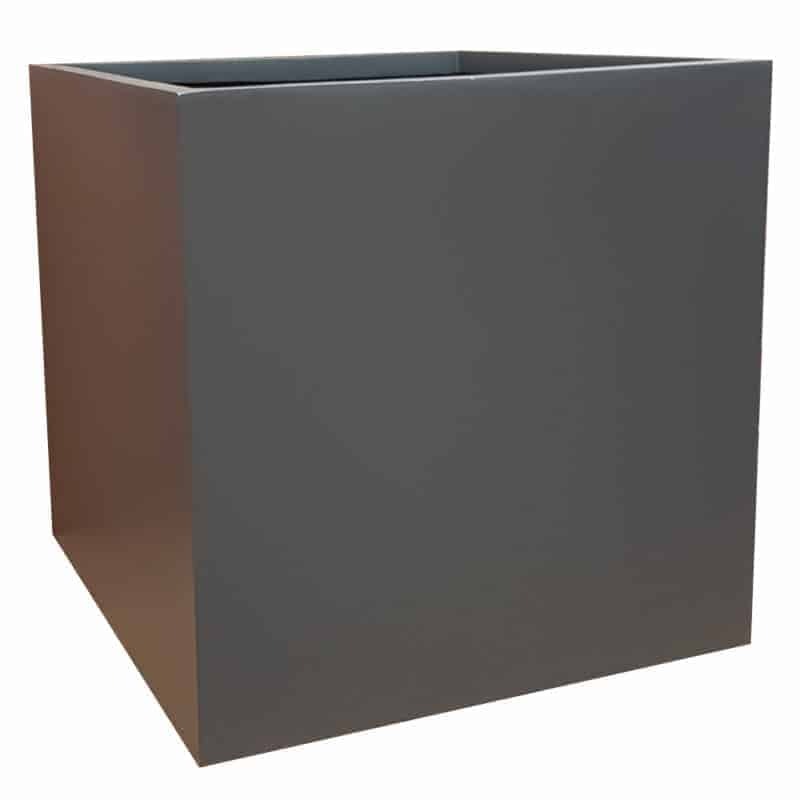 The high quality of the matte grey fibreglass and manufacturing provides durability, which is supported by the sturdy and industrial, contemporary cube design of the planters. 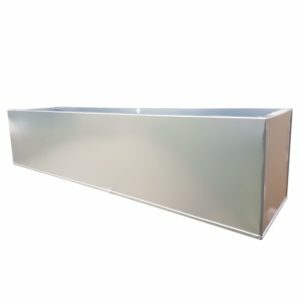 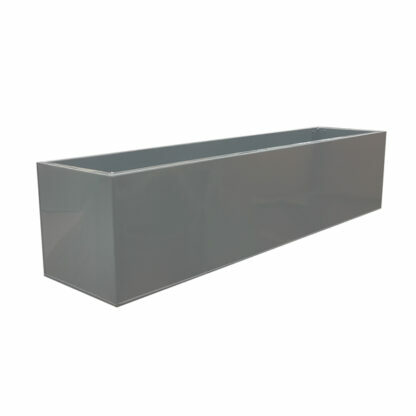 These grey powder coat zinc galvanised trough planters have an urban and contemporary look to them. 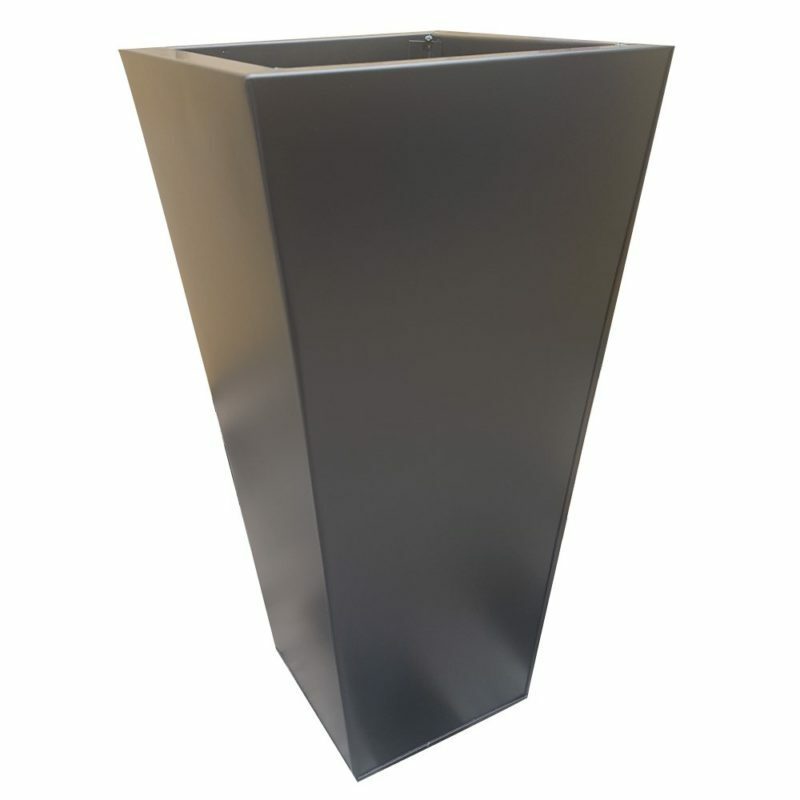 Looking amazing in any environment, whether you want it on your patio, the front of your house or balcony. 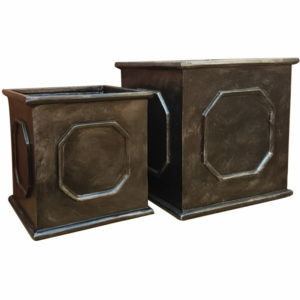 The Chelsea style is a classic design that fits well in both traditional and contemporary designs. 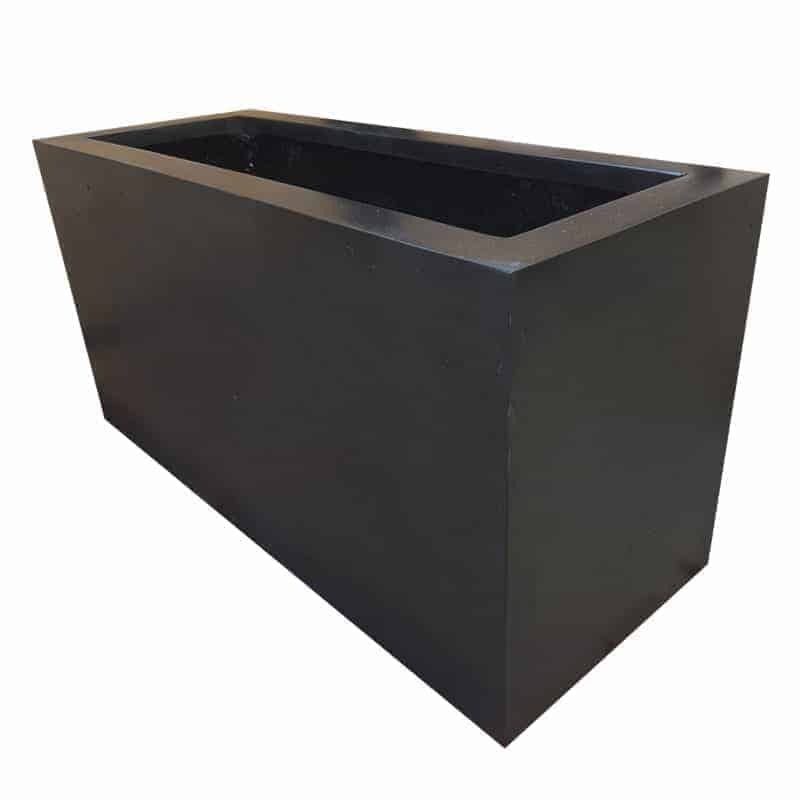 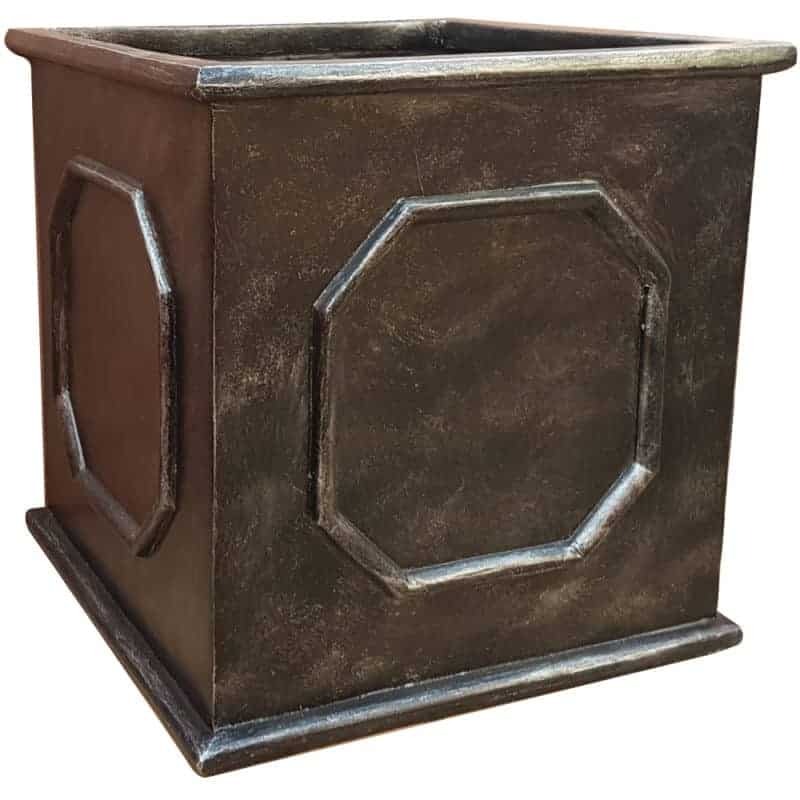 Named after the affluent district of London populated by the rich and the famous, this planter might add a touch of class or grandeur to your own garden or outdoor space.